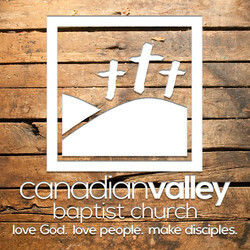 Canadian Valley Baptist Church is a Southern Baptist Church that teaches the truth of God's Word. Each week, Cameron Whaley preaches an exegetical message that is powerful, relevant, and purposeful. View All by Date (Earliest to Latest)View All by Date (Latest to Earliest)View All by Popularity (Most to Least)View Audio EntriesView Video EntriesView Subject/Series "2 Corinthians"View Subject/Series "Christmas"View Subject/Series "Colossians"View Subject/Series "DEVOTED"View Subject/Series "Devotion of Ekklesia"View Subject/Series "Easter"View Subject/Series "Ekklesia: Discovering Healthy Church"View Subject/Series "Grace in the Thorns"View Subject/Series "LOVE"View Subject/Series "Ministering To Others"View Subject/Series "Missions"View Subject/Series "Philippians"View Subject/Series "Ready for War"View Subject/Series "Rejoice in the Lord Always"View Subject/Series "Spring Bible Conference - Nehemiah"View Subject/Series "Stewardship"View Subject/Series "The Call of Christmas"View Subject/Series "Worship"View by Speaker "Dr. Cameron Whaley"View by Speaker "Dr. Cecil Peasley"View by Speaker "Dr. Harry Black"View by Speaker "Guest Jase Bradford"View by Speaker "Guest Jay Price"View by Speaker "Guest Missionary Chris Riggs"View by Speaker "Guest Pastor Dr Cecil Peasley"View by Speaker "Guest Pastor Moses Mivedor"View by Speaker "Guest Speaker Matt Hofeld"View by Speaker "James Walker"View by Speaker "Pastor Cameron Whaley"View by Speaker "Pastor Cameron Whaley"View by Speaker "Phil Shuler"View by Speaker "Sam Scott"View by Speaker "Tyler Barnes"View by Speaker "Youth Minister Tyler Barnes"